It has been a busy time. Elena is off tomorrow to Russia for 3 weeks. We have pictures being hung for a gallery show starting May 5th, participating in several classes and of course picking up the camera and testing our thoughts. 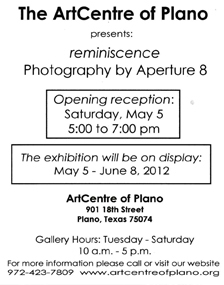 Now the details…We are excited to participate in the Aperture 8 gallery show at the Art Centre of Plano gallery. 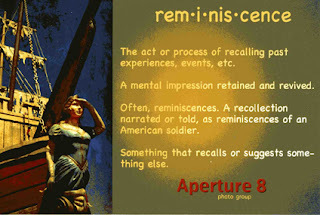 The theme is Reminiscence and it was fun exploring the various meanings associated with our reminiscences. The show is May 5 through June 8th. Russ and Elena! WoW! How exciting. Wish I could be at the opening. 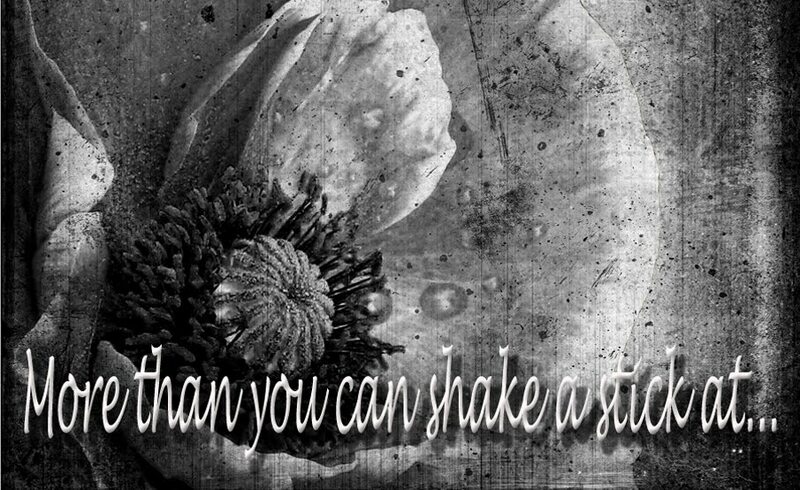 I'd love to see your photos off line. You're both doing such exciting work. Hope this Exhibition is a wonderful experience for you. And ELENA!!! WoW! OH WOW! Hope you have a perfectly marvelous time.